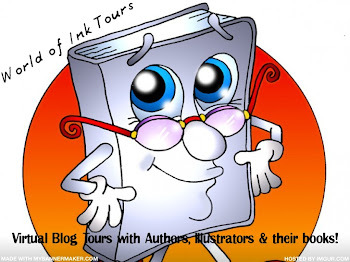 Come and join me as I talk with author Cassie Eubank about her novel Diary of an Ugly Sweater on Stories From Unknown Authors http://blogtalkradio.com/storiesfromunknownauthors at 1pm EST today. Have you ever felt alone? Can you remember a time when you thought you weren't good enough? Maybe you have even felt ugly before? Sophie certainly knows how you feel. Sophie was created a Christmas sweater and was feeling on top of the world when she was chosen to be featured in a newspaper ad. For one day, she was shipped off and was the model for a glamorous photo shoot. Her feeling of joy faded when she got back to Warehouse City and had to quickly learn to understand and find the best way to work with all the different personalities of the other sweaters. With compassion and humor, Sophie was able to turn those who started out as adversaries into allies. These were skills she would need when she arrived at the Superstore, the place where her forever person would find her. During her short stay at the store, before Katie purchased her, Sophie had the opportunity to watch and observe human nature in a big way as the masses of holiday shopper descended when the doors opened each day. All of the things she learned would be needed for what was to come. At first, Sophie believed she was the happiest sweater in the world. The perfect forever person had chosen her, and she even heard her talk about going to a Christmas party and being entered into a best sweater contest. Sophie was alive with excitement, especially when she found out that Katie was going to “bling” her out. Oh the glitz, the glam, Sophie was loving it all. First came the garland. Then the blinking lights. Next it was larger ornaments and presents under the tree. Being an over-achiever, Katie also added bells, bows, a purple peacock, a raccoon, an elf, a floating Santa head, an angel and candy canes all over her right arm! Sophie was feeling like a freak show and wondered why her forever person would want to change her so much. Why wasn’t she good enough just the way she was? With the help and support of her new family, Sophie learned some new coping skills that allowed her to grow and gain from the feelings she once had. With these new skills in place, what once seemed overwhelming was now simple and easy. Life was good. Until….. One evening, Sophie and the family that had been attached to her were left on the kitchen table. There before her, Sophie saw things that caused her world to crash in around her. In plain sight, was an invitation to the party she was going to with the prompt to Get Your Ugly On! $100 to the winner of the UGLY SWEATER CONTEST. As her heart sunk, she glanced to the right and saw a newspaper advertisement. What it said made her go numb. There on the open page was a picture of her. It was one that had been taken when she had been sent to model at the photo shoot. UGLY SWEATER SALE the words above her head screamed. She had been created… no, she had been born to be ugly. Her only purpose in life was to be a hideous amusement. Sophie was heart-broken and saw no reason for her worthless, pathetic life. Thanks to the love and understanding of her adopted family, Sophie came to learn her true value. Having come to love herself, she was able to offer those around her so much more, which made her feel even better. She was also able to let her challenges turn her into a champion! Join Sophie as she shares real life solutions to the opportunities for growth that present themselves in our lives. When you delight in these pages, you will come to love Sophie and feel both her trials and her triumphs. Take this journey now and engage in a delightful ride that will capture hearts of all ages during all seasons. 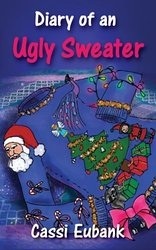 Diary of an Ugly Sweater is a unique story told by a sweater named Sophie as she makes her journey from warehouse to store to someone's home. Along the way the reader will learn life lessons as Sophie encounters troubles. She also discovers new things about herself. As a sweater on a shelf brand new Sophie is beautiful. She gets a photo shoot and lots of attention. But when she makes it to the store and gets pawed at, tried on, and moved around, she becomes stretched, worn, and damaged. When Sophie thinks no one will want her, her forever person, Katie, comes and buys her. The problem is she bought her for an ugly sweater contest. This news damages her view of herself. The reader will become aborbed in the story feeling the characters ups and downs. The great thing is Sophie learns a lot about life from Katie and how to become a better sweater no matter what she looks like on the outside. For Katie it wasn't just about the contest any more, buying Sophie was about so much more. 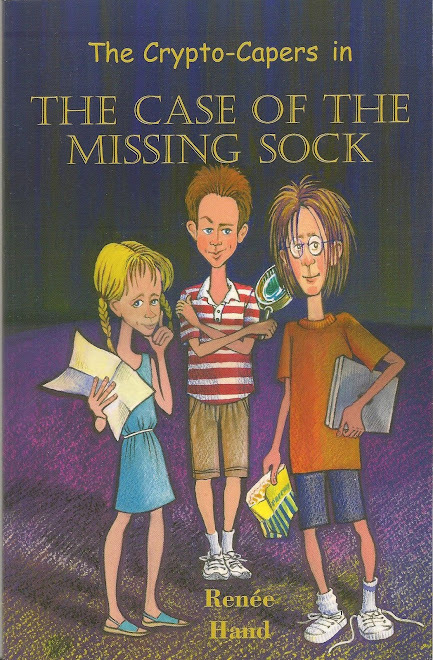 This 180 page novel is a delightful story about self worth. The sweater imparts a valuable lesson. We must always be the best version of ourselves we can be. Then we will know we are a person of value, with a life that has purpose. It doesn't matter what somone thinks, it only matters what we think of ourselves. These words are true and will resonate with readers young and old. Cassi showed a passion for reading and writing at a very young age. In second grade she read over 150 books while maintaining an A average and was first published in the local newspaper for a poem she wrote in the fourth grade. In college, English was the young scribe's major and Psychology her minor. Being gifted with the ability to communicate, Cassi got a job as a corporate trainer, working with companies such as HMS Host, Ritz Carlton, Four Seasons, Wynn Casino, Las Vegas, Chili's, Shula's Steakhouse, the US Government and hundreds more. During that time, she still wrote short stories and poems, as well as remaining an avid reader. In 1990, Cassi wrote, Do You Know Elvis? 501 Questions About the King. It was a fun project and she sold almost 1,000 copies in a weekend, this being before the age of social media. Cassi has stayed in the field of communications with the television show she produced and hosted on Fox network almost 5 years. Home Grown Music enjoyed almost a quarter million viewers each week. She also was the DJ for an AM radio station for almost 2 years and now hosts Believe & Receive Radio on blogtalk. Once Cassi became a contributing author in the book, Dare to Be Authentic, she decided to put her skills to use and write another book of her own. With the recent birth of her grandson, she decided to revisit her dream of writing for a younger audience. She understands the mind of a child and believes that if we can show our kids how to remain child-like while learning how to shed childish ways, we will all see a brighter future. Cassi has completed Diary of an Ugly Sweater and is in the process of completing Diary of an Ugly Sweater: the Action Guide. This action guide will allow readers to take the lessons that Sophie learns throughout her journey and apply the solutions to experiences that have or may occur in their own lives. Ms. Eubank speaks at medium and large engagement on topics that result in success in your business and life. She donates her time to at-risk young people to help them build the self-esteem and life skills they need. When not immersed in a book or behind her computer writing, Cassi loves to garden, cook, and sing. Her greatest passion in life is Elliot, her grandson and family. After that, it's travel that Cassi is passionate about. I'm looking forward to having you on the show today. What a wonderful book. What a great interview. I loved speaking with Renee on her Stories From Unknown Authors radio show. Thank you so much for having me Renee!!! It is my pleasure to have you on the show. You are an inspiration to others.